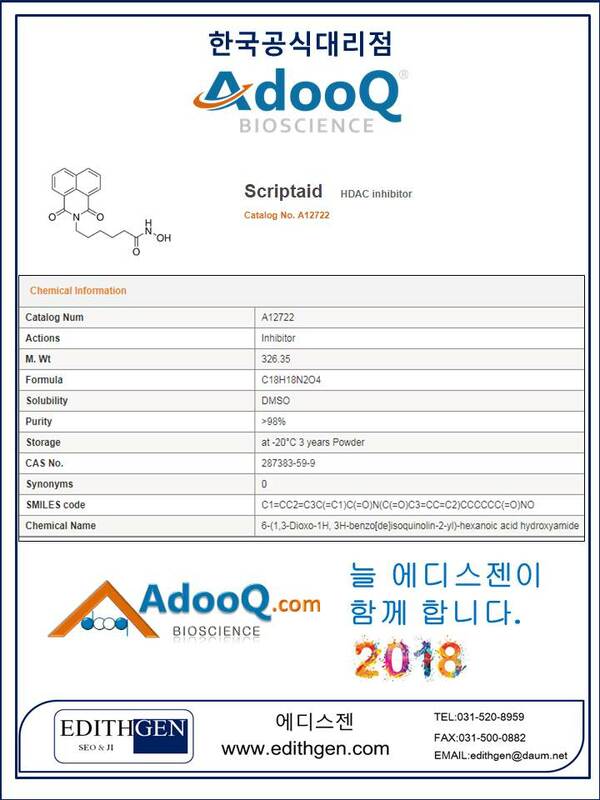 [기본] (AdooQ Bioscience 한국공식대리점) Scriptaid HDAC inhibitor를 소개합니다. 다음글 | (Immusmol 한국공식대리점 )Serotonin antibody 제품을 소개합니다. 이전글 | (에디스젠 - Abbexa 한국공식대리점 ) Chicken Anti-Human IgA Antibody를 소개합니다.